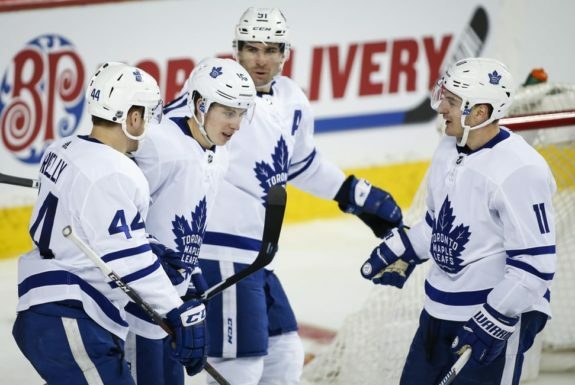 BUFFALO, N.Y. — John Tavares and Auston Matthews each had a goal and assist, and the Toronto Maple Leafs won for just the second time in six games, beating the Buffalo Sabres 4-2 on Wednesday night. Casey Mittelstadt and Alexander Nylander scored for Buffalo, which dropped to 1-7-1 in its past eight. Coming off a 4-3 shootout win over St. Louis on Sunday, the Sabres have gone 41 games since winning consecutive outings. It’s a stretch dating to Dec. 11-13, during which Buffalo dropped to 12-24-5. Buffalo’s Nylander — younger brother of Toronto’s Alexander Nylander — cut Toronto’s lead to 3-2 with 14:23 left when he one-timed in Vladimir Sobotka’s centring pass into the slot. 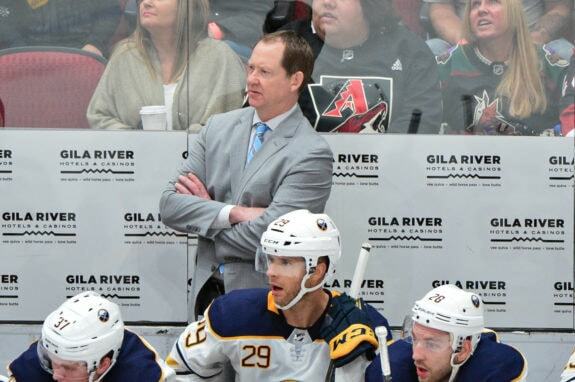 Buffalo was being outshot 17-2 through the first 11 1/2 minutes and 18-5 before Mittelstadt opened the scoring with a power-play goal at the 15:04 mark. Rasmus Dahlin’s assist on Mittelstadt’s goal upped the rookie’s total to 38 points and moved him ahead of Bobby Orr for second-most by an NHL defenceman before his 19th birthday. The only player ahead of him is Housley, who had 57 points as an 18-year-old with Buffalo in 1982-83. NOTES: Toronto swept the four-game season series over Buffalo and improved to 22-11-4 on the road — one win shy of matching the franchise record set in 2003-04. … The Sabres assigned prospect forward Matej Pekar to AHL Rochester after the 19-year-old completed his season with Barrie of the Ontario Hockey League. It’s unclear when Pekar will play, as the 2018 fourth-round draft pick has been out since breaking his collarbone in January. … With San Jose clinching a playoff spot, the Sabres officially acquired the Sharks’ first-round pick in this year’s draft. The Sharks had the option of retaining the pick — acquired in a trade for Evander Kane — if they missed the playoffs this year and send Buffalo their 2020 first-round selection.